“The Magical Grandeur of Water“, a presentation by Jim McMath will take you on a journey from the global to the molecular worlds of water. 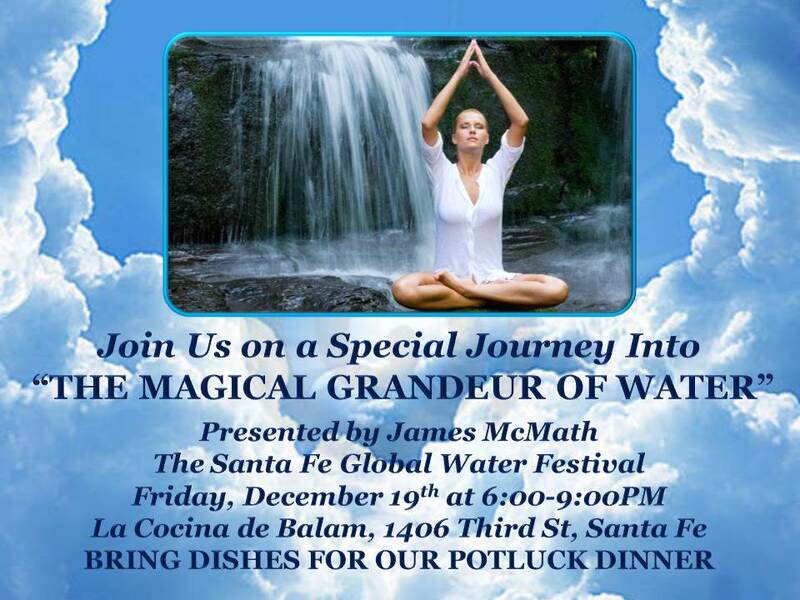 Fundraiser and coming out party for the Santa Fe Global Water Festival, Friday, December 19th at La Cocina de Balam, 1406 3rd Street, Santa Fe 87505. 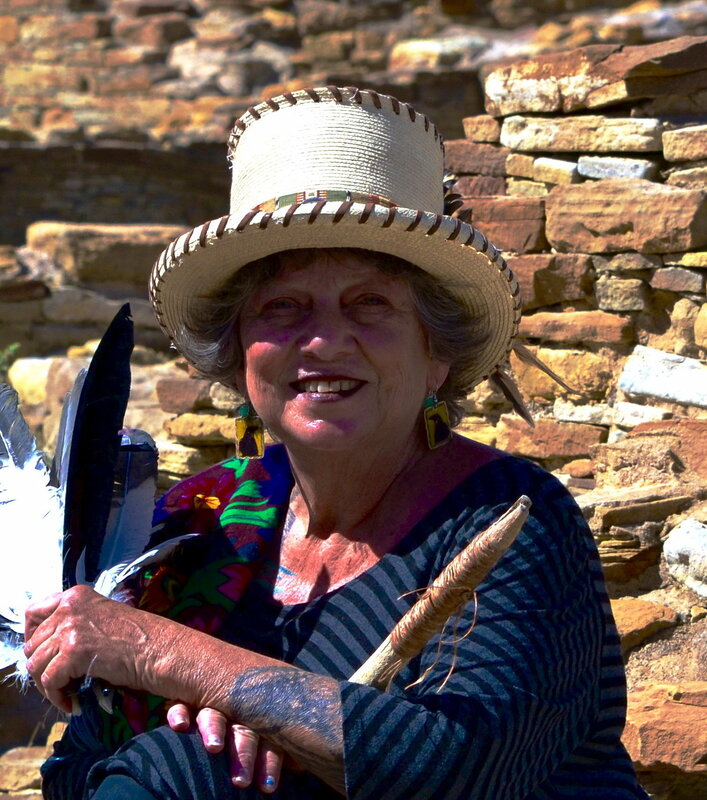 Pot luck, opening ceremony, music, dance and community from 6 PM – 9 PM. Lara Bache, Miriam Kass and Sage Gray will be performing songs and spoken word, some about water written for the occasion. If you can’t make it pass on to your friends. You can also send us a contribution!!!! Please share. If you can’t make it pass on to your friends. You can also send us a contribution!!! !